Work to roll-out ultrafast broadband* in Cardiff is well underway – with tens of thousands of homes and businesses in the final stages of being connected - Openreach’s managing director, Kim Mears, announced during a visit to the city today (Wednesday, 18 July 2018). 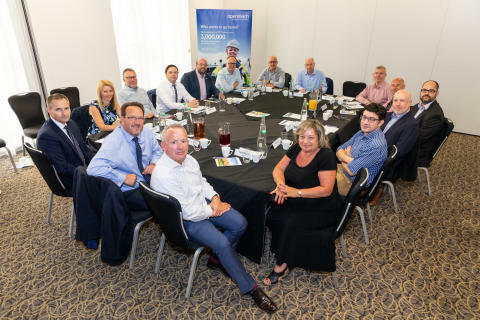 The update was given during a breakfast meeting with CBI Wales director, Ian Price, who was joined by business and civic leaders, academics and representatives of other key organisations. “Cardiff already has a thriving digital economy with widespread access to high-speed broadband – with more than 98 per cent of premises already able to access superfast speeds. It’s a further boost for Cardiff, following the announcement earlier this year that Openreach were looking to recruit more than 250 new trainee engineers across the South West to help deliver ultrafast broadband. It was also recently announced that Cardiff will benefit from new cutting edge broadband technology – called Gfast - which will bring even more access to ultrafast broadband speeds to the city.